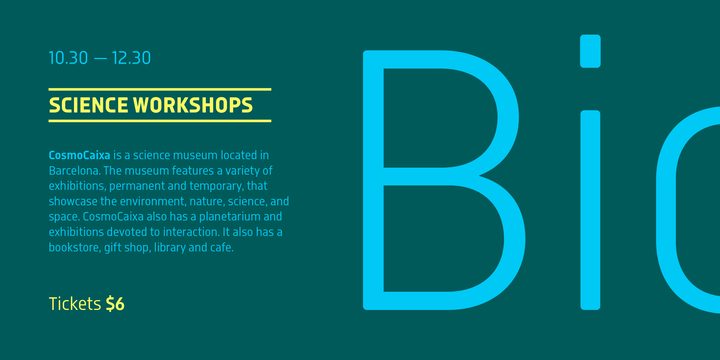 Isotonic is a sans serif typeface created by Eduardo Manso and published by Emtype Foundry which is available in 5 weights (from Light to) with accompanying italics. Inspired by Ciutadella font, it merge well in body sizes and screen. Also it is ideal for branding, display, logo, magazine, poster etc. Have fun! A font description published on Tuesday, November 14th, 2017 in Eduardo Manso, Emtype Foundry, Fonts by Alexandra that has 1,357 views.